Well over the Summer we've been kept fairly busy mainly with fendermaking & diesel sales. But we've also managed to take a bit of time off relaxing with friends & family. Ann Marie spent a couple of weeks with her family in Canada, whilst I've had a couple of breaks aboard Bad‎ger with my good mate George Boyle including attending the Braunston & Alvecote Historic Boat Gatherings. 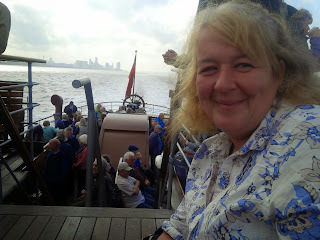 We've also had a few good family get togethers, the highlight being a journey on the Paddle Steamer Waverley from Liverpool to Llandudno with my Dad, brother Mike & Ann Marie, this was something to tick of the "bucket list" for both myself & Dad, it surpassed our expectations & was a truly memorable day. Sat 10th - Sun 11th Oakgrove (Br49 Macc) to Whaley Bridge & Bugsworth via Macclesfield & Marple. ‎Please note, the above is our planned schedule, which may be subject to change due to traffic, customer volumes, stoppages & weather. If you require supplies, to ensure delivery, please text or call us on 07791345004. See you on the cut. Cheers, Brian & Ann Marie. Once again I'm late updating our blog with our current schedule, thanks to all our customers who've called, texted & e-mailed to check our whereabouts, but I'd better get this done :-). Our main event last month was attending the Ellesmere Port Boat Museums Easter Gathering. Ourselves & Alton have been supporting this event for the past 20 years (not always together) & it's one of our favourite events. The weather was fairly good & it was wonderful to catch up with family & old friends over a tea & hot cross buns or a pint or two in the Rolt Centre. On Easter Sunday we had a busy time making deliveries to many of the visiting boats at the Port, it's become something of a tradition for Alton's previous owner George Boyle to take the tiller & give Ann Marie the day off, it was great to see him skillfully manoeuvre Alton into all sorts of nooks & crannies around the Port. Before heading back to the Macc, we returned via the River Weaver, its so lovely to get some deep water under the boat & we were treated to the Wonderful sight of Joel (powered by a Kelvin Paraffin engine) passing us near Barton, closely followed by Stamford, Severn, & Kenilworth all having returned from the Port via the Manchester Ship Canal. We had a good run up & down the river with deliveries down to Dutton & back up as far as Vale Royal. After another hectic month, we've still not kept to our New Years resolution of taking a few days off, so the first weekend in May we decided to take a busman's holiday & joined the Carter Family & friends for their annual Dingy Dawdle on the River Weaver. 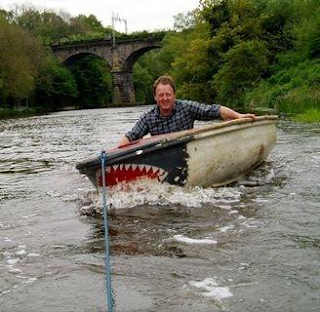 It was just what we needed to let our hair down, simply messing about on the river. We had a great chilled out day, exploring parts of the river we could never reach on a narrowboat whilst soaking up the sun. We had a hoot & after a successful rescue of an outboard engine from the bottom of the river, the day was topped off with a barbecue & a good old natter around the fire, we do like the simple things in life. A huge thank you to the Carter Family for arranging a great day. So far in May we've been trying to get on top of some much needed cleaning & maintenance on the boats without much success, we're also been kept very busy with fendermaking orders, so it's been a bit of a case of trying to make hay whilst the sun shines. Sun 15th - Tues 17th: Middlewich to River Weaver & Preston Brook. Well our New Years resolution of taking more time off went straight out of the window in March. The frosty cold snap kept us busy with fuel deliveries & the days in between were taken up with trying to keep up with fender orders & running two fendermaking courses. We do enjoy running these courses & we've been lucky to have such enthusiastic trainees that its been a great deal of fun passing on our skills & knowledge. 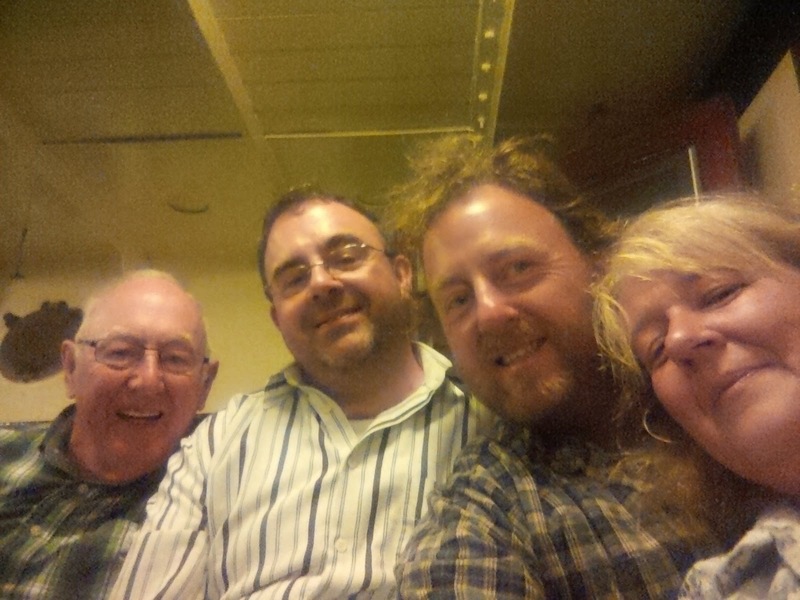 By the start of April we were well & truly ready for a few days break, so we went up to the Wirral to be with family to help celebrate my Dads 79th birthday with a lovely meal & a walk around Chester's Roman walls. 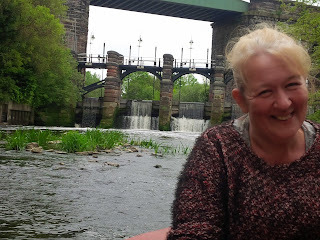 Then last Sunday was our wedding anniversary so we had a stroll around Leek's excellent farmers market, followed by a steam train ride on the Churnet Valley Railway including up the Cauldon Lowe line to Ipstones, which was very interesting. We finished the day off with Dinner at the Black Lion at Consall Forge. This pub has a magical location beside the river Churnet, the Caldon Canal & the Churnet Valley Railway. With a good choice of local real ales & good value home cooked food it's well worth a visit if your boating on the Caldon. 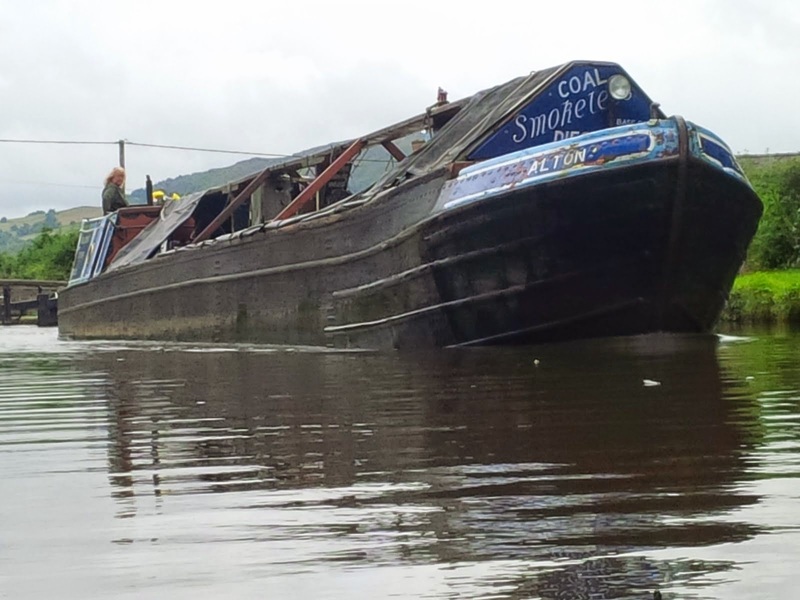 Sat 12th - Sun 13th: Return Whaley Bridge to Oakgrove (Br49 Macc) via Marple, Poynton & Macclesfield. Mon 21st - Wed 23rd: Ellesmere Port River Weaver & Preston Brook, via Chester & Middlewich. Well 2014 has certainly got off to a stormy start, we've been battered by rain, hail & high winds, but you know us, we're out delivering whatever the weather. The weather has certainly tested out our boating skills, patience & determination. As usual our customers have been brilliant, keeping us going with good banter, coffees & even breakfast! (thanks Shaun & Sue on NB Whisper). We're not really into new years resolutions but one thing we are determined to do in 2014 was to take a bit more time off. It's so easy when you work for yourself & love what you do to find that you're working all the hours god sends. But everyone needs some downtime so we're making a concerted effort to take some time out for ourselves as well as to spend time with friends & family. 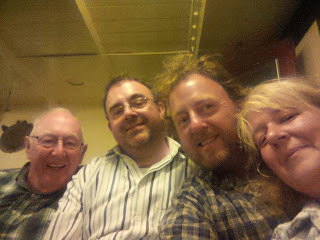 The weekend of 11/12th would have been my parents 50th wedding anniversary (my Mum passed away in 2012) so we decided to organise a McGuigan family weekend, where 3 generations could get together to celebrate. We had a lovely time staying with our friends the Fletchers near Hebden Bridge in their amazing home. We laughed, cried, ate, drank, chilled, reminisced, remembered & all in all had a great weekend! 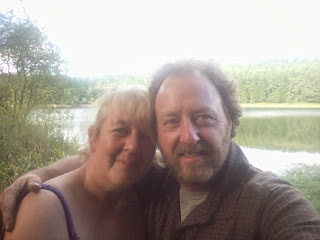 A fortnight later we were ready for more R&R, on another dire day we enjoyed foodie shopping at Macclesfield's Treacle Market, followed by me taking a walk up Teggs Nose whilst Ann Marie decided to do some baking :-). So we're determined to keep enjoying a little bit more down time each month. 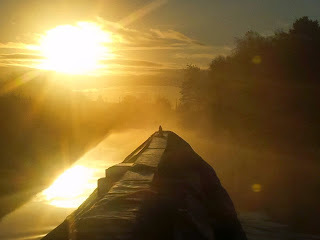 With the recent stoppages at Booth Lane Locks & Middlewich, we've been doing all our Cheshire round by road deliveries. 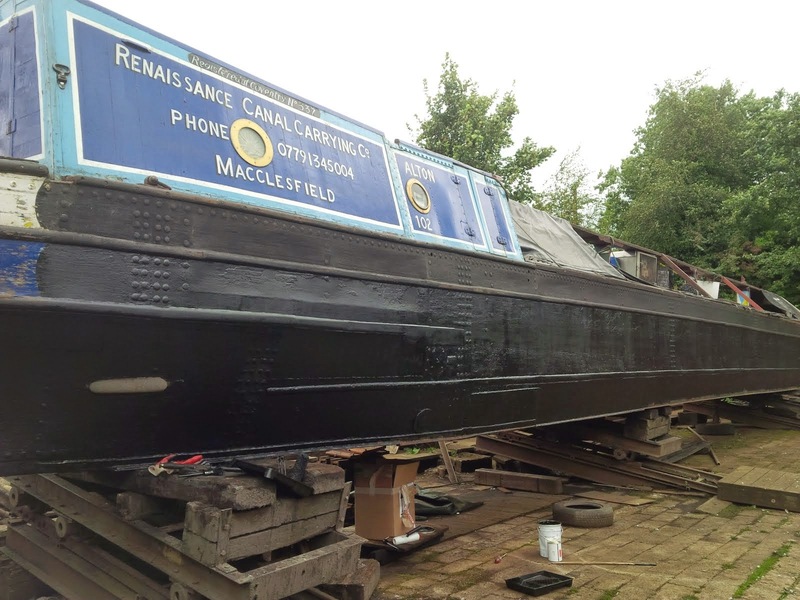 Hopefully we'll be able back delivering by boat during February as we've managed to get a "window" through the Middlewich stoppage, it'll be tight for time, but we'll crack on & give it our best shot! Sun 16th - Mon 17th. Return Whaley Bridge to Oakgrove (Br49 Macc) via Marple, Poynton & Macclesfield. Well we worked our socks off right up to Christmas eve, eve ;-). So we were determined to have a relaxing break over Christmas & New Year. We took a full week off, I think if we hadn't Ann Marie might have revolted! My Brother Mike came down to spend Christmas with us, I cooked my legendary scrambled eggs for a brunch & then Ann Marie gave us a lift into town to sample a pint or two at the Macc & the Wharf, followed by a canal walk back to along the canal. Ann Marie cooked us a fine Christmas Dinner. On Boxing Day, we blew the cobwebs away walking up on Sutton Common & Croker hill, followed by a pint & late lunch at the Church House in Sutton. Then we went away for a long weekend down the South & West. We took our Acadyane on 2CVGB's raid Imber, joining 35 Citroen 2CV's green laning around Salisbury Plain, finishing at the deserted village of Imber. On the Sunday our good friends Dan & Emy had a bit of a house party with the band Blyth Power playing live. We had a great chilled out time catching up with friends old & new. Finally to New Year where my sister Fiona & 4 year old niece Ellie came to stay with us aboard Shirley. We had lots of visits to the park and a few more to the pub. This rounded off a great weeks break, leaving us refreshed and ready to tackle whatever 2014 has in store for us. So Happy New Year to all our family, friends, customers & supporters, wishing you a happy & healthy year ahead :-). So, on with our schedule for Jan 2014. Mon 6th - Tues 7th. Return Whaley Bridge to Oakgrove (Br49 Macc) via Marple, Poynton & Macclesfield. Mon 20th - Tues 21st: Return Whaley Bridge to Oakgrove (Br49 Macc) via Marple, Poynton & Macclesfield.